First, the Rainbow Bagel took the world (or at least Brooklyn – which in the mind of Brooklynites is the world) by storm. Then other New York eateries jumped on the rainbow-colored bandwagon with crazy stuff like rainbow doughnuts and rainbow pizza dough. 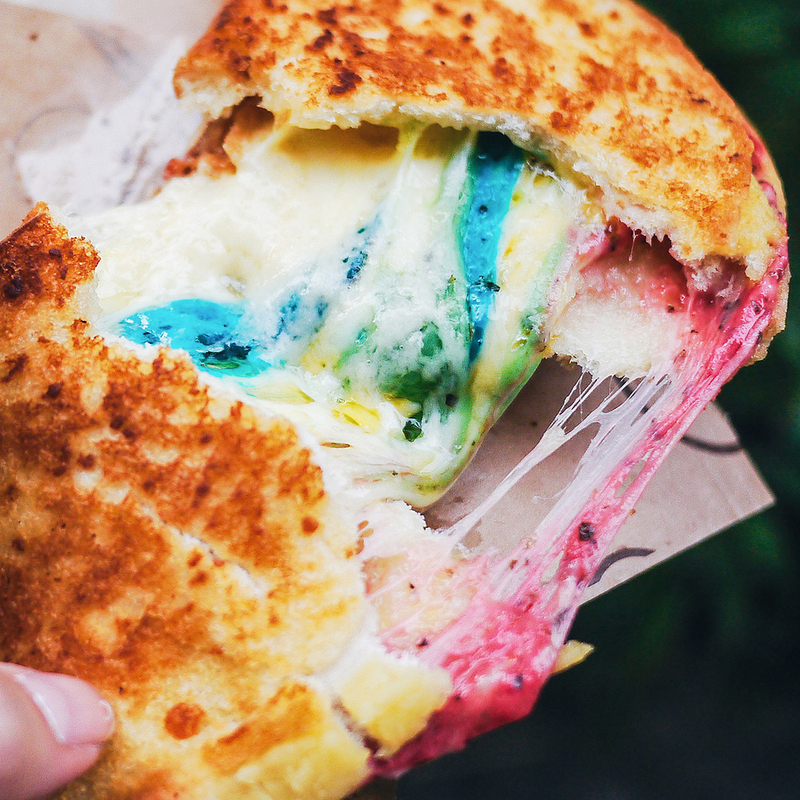 Needless to say, now every food item is up for grabs to be transformed into kaleidoscopic madness – and the latest crazy rainbow revelation is coming from half way around the globe: A restaurant in Hong Kong is serving multicolored grilled cheeses. Related: HOW DO YOU MAKE A RAINBOW BAGEL? Apparently, the sandwich’s wide range of colored cheeses is more than just a visual stunt too. Each color actually has a different flavor: blue is lavender, green is basil, red is tomato, and yellow is a cheese blend. So good luck trying to recreate this cheesy masterpiece with a standard food coloring set. The bad news, however, is according @hkfoodiexblogger who reviewed the sandwich on her Instagram account, despite Kala Toast’s best efforts, the grilled cheese’s biggest appeal is still its appearance. “I would say the quality was rather average but we all cannot deny that it is photogenic,” she wrote. Still, at only about $5, the price isn’t bad. And come on, when you are so stoned you want to order a rainbow grilled cheese, everything’s got to taste good, right?